What is life? The following ten quotes are our pick of the best from various writers. The quotes sum up our attitudes to life – mysterious, depressing, uplifting, and everything else betwixt and between. We hope you enjoy these quotes. 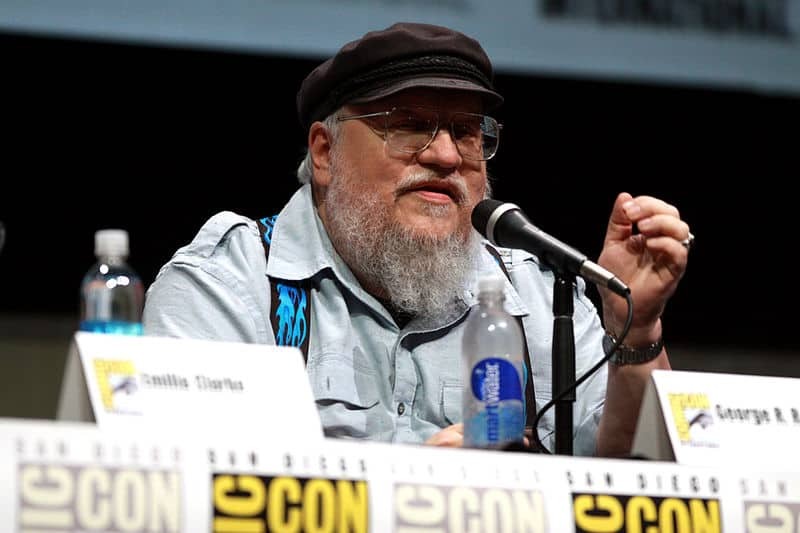 Image: George R. R. Martin speaking at the 2013 San Diego Comic Con International, for ‘Game of Thrones’, at the San Diego Convention Center in San Diego, California (author: Gage Skidmore); available for reuse. Wonderful sampling! I love them all! Awesome. Thanks for the great post! Chekhov has got it spot on! I like the quote by G R R Martin. It says it all. Another interesting post from Interesting Literature: writers’ quotes about life. My favorite is one by T.S. Eliot. It is the way I am trying to live my life now. What is your favorite, dear Reader? Do any of these quotes reflect the way you live your life, or wish you lived your life? My favourite is the Fitzgerald quote. Thanks for sharing! Oh to have a fraction of this wisdom! Lovely assortment. I enjoyed reading those and will now get on with my carrot. Great post! Perked up my day! Thanks! Wonderful post- I especially loved Edith Wharton and George R.R Martin- brilliant choice of quotes and authors! What’s your favourite literary life quote? Simone says it right for me. … It’s like a motto I live by – When afraid, just jump.